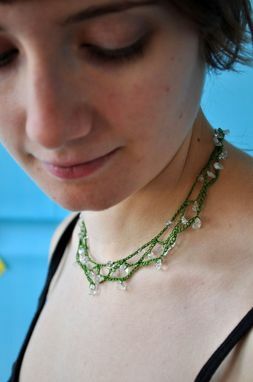 This necklace is soft and light. 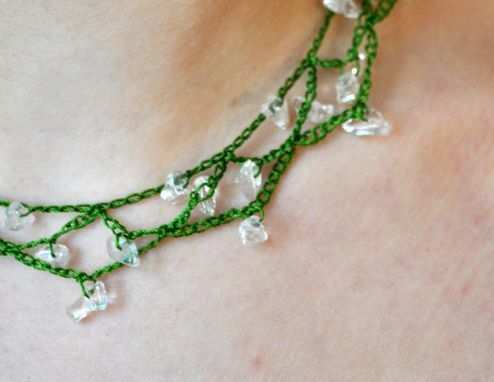 The rayon thread makes it feel like it's not even there and the quartz beads add a nice sparkle. It reminds me of dew on fresh grass, perfect for spring. 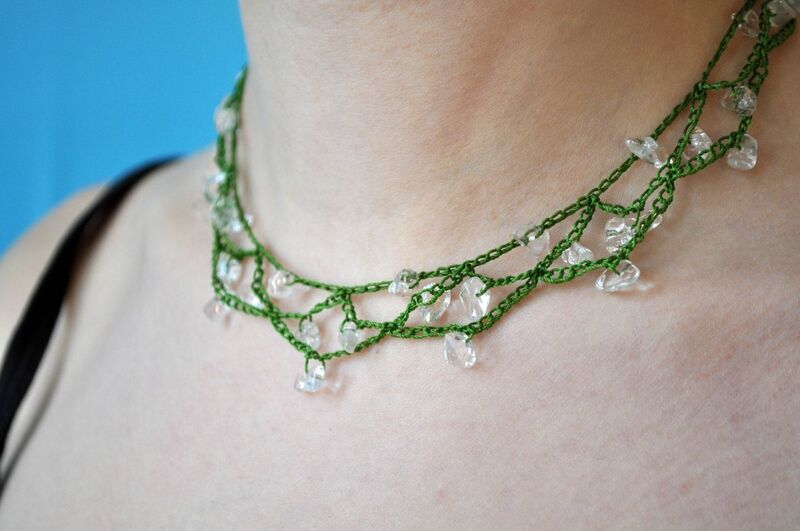 It is clasped in the back with a quartz bead and a loop. 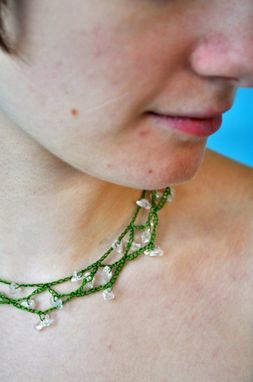 No new materials went into the making of this necklace. The rayon thread was never used and rescued from a thrift shop. I upcycled the quartz stones from broken jewelry. They have reincarnated together as this dainty necklace.